I’m trying to create a multiple update form that basically appears like a table. In my case its a table with the drivers from a race in the first column and their finishing position in the second column. I would like to be able to enter finishing positions beside each driver and then hit Update. 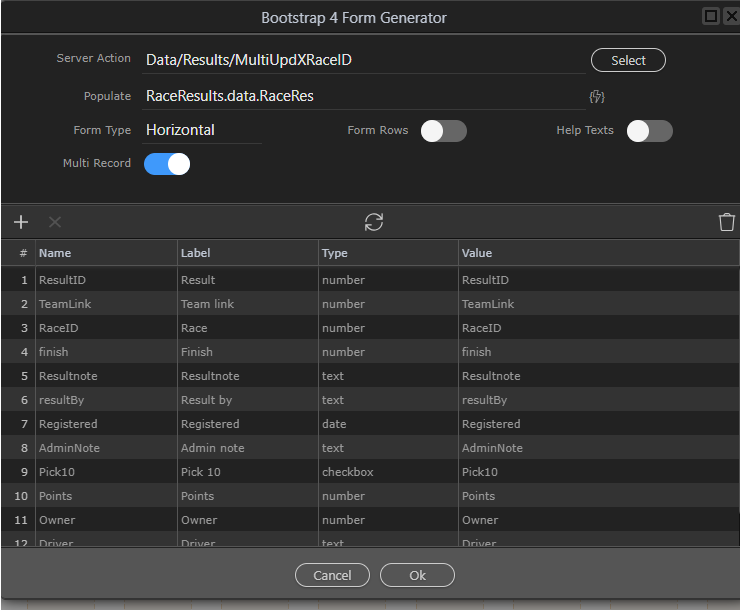 I’ve created a multi update server action and I’m trying to create a page with the generator but each time the form appears the same whether I hit Horizontal, Vertical or Inline. I’m selecting the multi toggle but the generated form does not look like a table. Am I expecting the wrong thing? 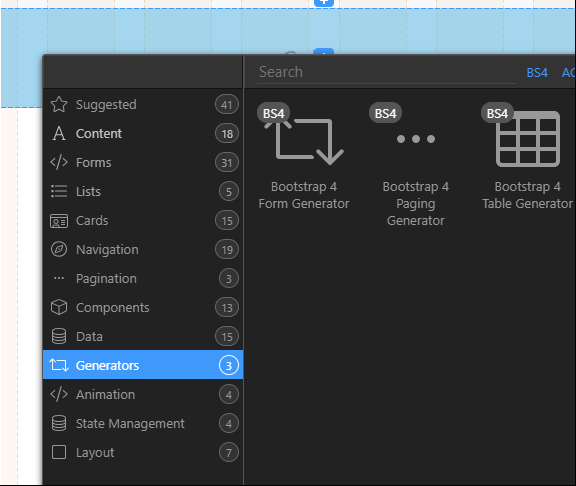 To create the table, use the Bootstrap 4 Table Generator. 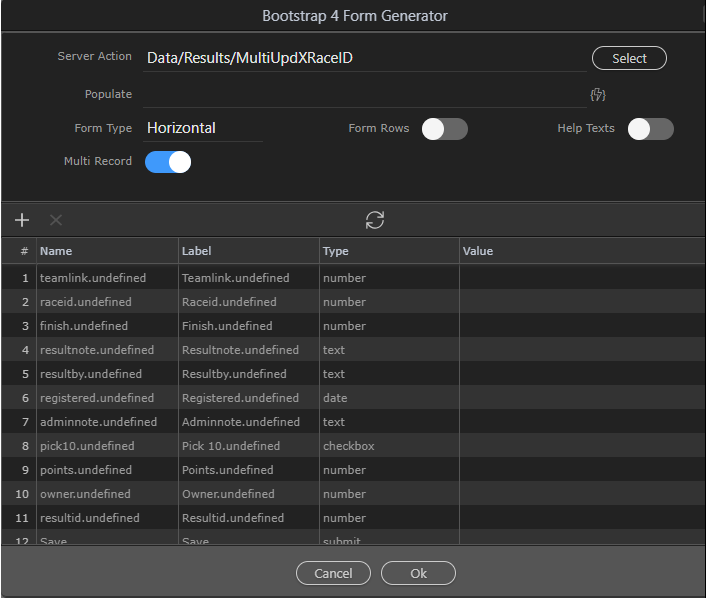 After that, use the Bootstrap 4 Form Generator to create the Multiple Update Form. At this stage you will have a form and a table. The two need to be merged. 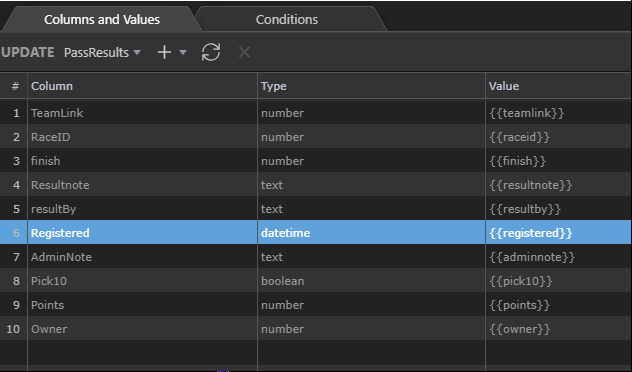 This is done manually in Code view. The table element needs to be inside the form and the inputs need to be in the table cells. Because you will not need the formatting of a Bootstrap form, when generating the form, make all of the form inputs hidden. This will ensure that you only get the input fields. Once the form has been generated, change ‘hidden’ to the input type that is required, e.g. ‘text’. Thanks again Ben. I haven’t had a chance to look at the videos but given your track record I’m certain this is the solution I am hoping for. Can’t wait to try it out. 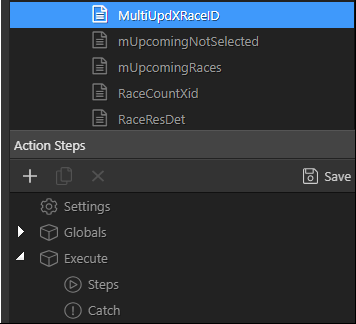 I can’t even get past the first basic strep of getting the multi update form to work. No, something has gone wrong. Please have a look at part 9 of https://www.youtube.com/playlist?list=PLUjqTJN3byC9kK8YZkmGwjo9nrEipl2yb. Although the video is called ‘Sort Images’, it is in reality a multiple update. Yea I tried the steps again as described in the video and I’m still getting the “undefined” in the resulting post values. It seems like there is an issue or I am missing a step. I realize this is not your issue is there a separate place I should be posting this? Could you provide step by step instructions with screenshots / video showing the problem from scratch? 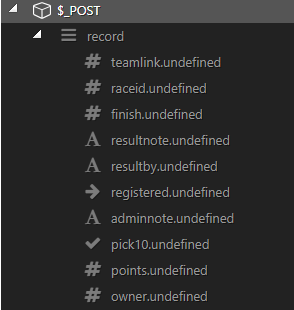 Post records are create with .undefined?? I haven’t been able to get it to post and I assume it’s because of the difference in fields?? 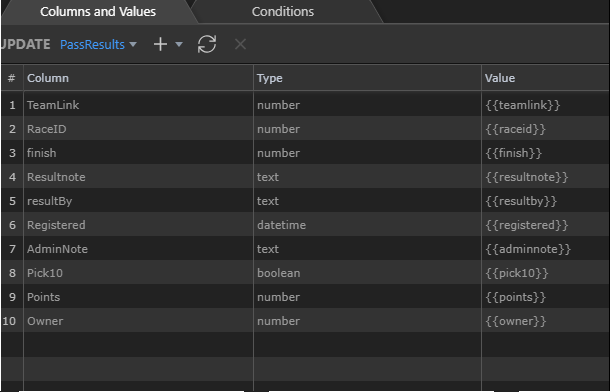 Have a look at the $_POST values and compare that with the names of your database fields. Thanks Ben , I’m familiar with making sure to match my post values with the form. 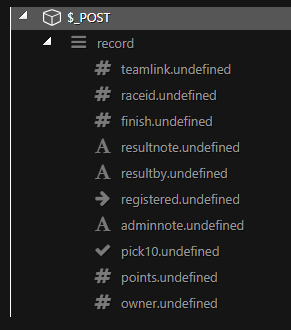 my issue was trying to figure out why the server connect was creating the .undefined values then the form generator changes the predefined values. I had worked with this previously to create my first multi update form and I kept getting unmatched values using the generator which was frustrating. I had to manually match everything. You create an Update Step and some of the fields contain upper case letters. 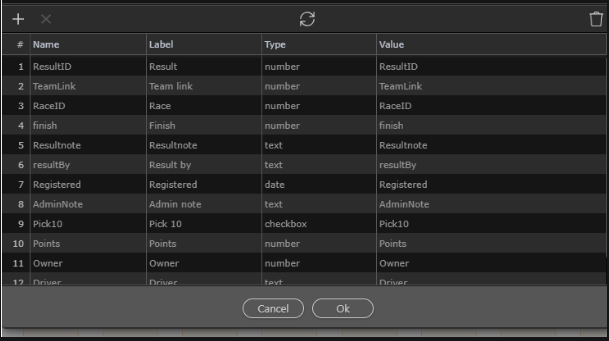 Wappler assigns values that do not contain any upper case letters. Then we have a look at the $_POST values and these are all lower case. So far so good. Now we have a look at the completed Form Generator and we see that the upper case letters have returned. 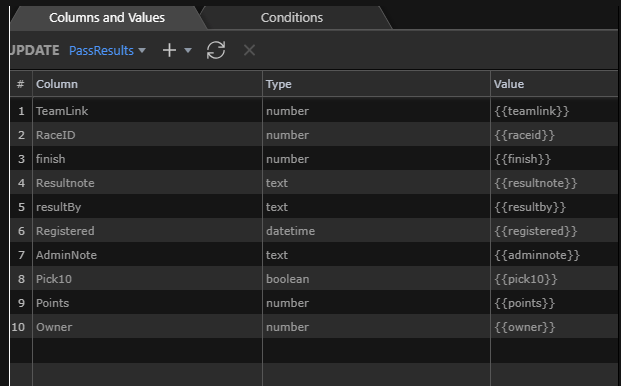 To me what is happening now is that your form input is sending one value, where the server side is expecting another value. For example, the form input with a name of TeamLink is sending its $_POST value ‘TeamLink’, but the server side is expecting a value of ‘teamlink’. Furthermore, I think that Wappler is to blame for this because it is changing all upper case letters to lower case. 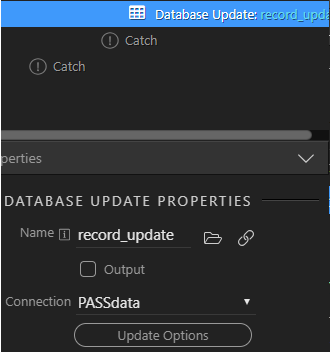 If you want try a test, change all of the datebase table fields to lower case and repeat the exercise. You will be pleasantly surprised. This may also help @George to understand the problem. 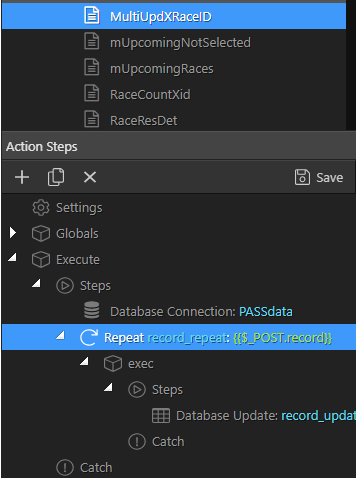 when I create my multi update server action it is still creating .undefined post records, is this expected behavior? Using the latest Wappler version (1.9.0), I see what you mean. I am getting the same results which means that there is a bug within Wappler. 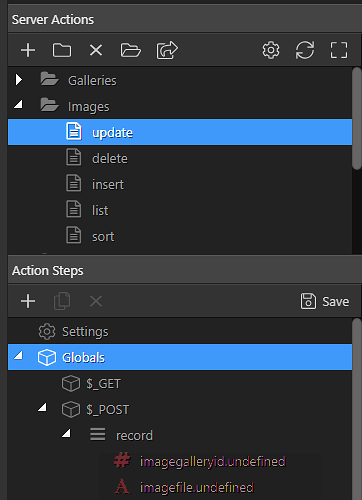 As a workaround, after having created the form, go back to Server Connect, choose the Server Action and select Globals. In Global Input Properties, choose the Linked Page and the relevant Form. Click Import From Form and you will get the correct form inputs. 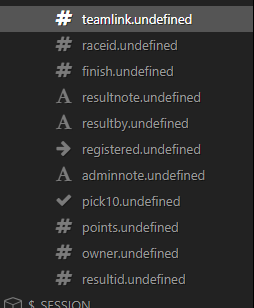 Delete the undefined values and you are set to go. 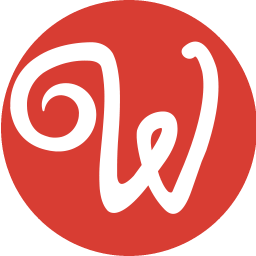 Sorry about the run-around, I was going off my (saturated) memory which was based on earlier versions of Wappler.